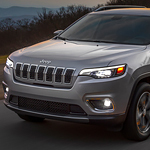 The Jeep Cherokee SUV boasts years of popularity thanks to the vehicle's durable construction that easily accommodates a variety of terrain features. The 2019 models feature enhanced safety technology that makes the journey better. Our West Covina Chrysler Dodge Jeep Ram location has the latest models on hand for your approval. The stability system is designed to prevent rollovers along with steering under or overcorrecting. Sensors installed around the vehicle continually monitor Cherokee's position. The system includes an alert should they accidentally veer from their intended path. Sensors are installed to prevent potential collisions when backing up or making lane changes. Never cross into the path of a vehicle in your blind spot again. The electronic technologies are also useful when parallel parking or leaving a parking space. Learn more about Cherokee's safety features. Browse through our selections. Choose your favorite, and go for a test drive.